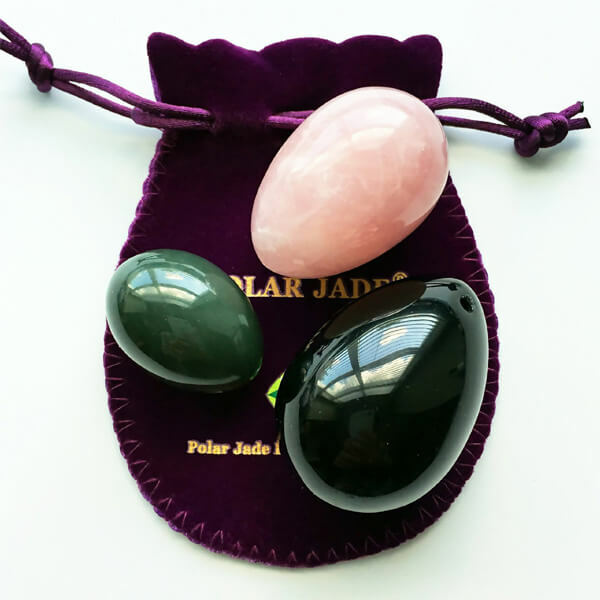 Polar Jade is based out of Canada and provides high-quality, genuine jade, rose quartz and obsidian yoni eggs. 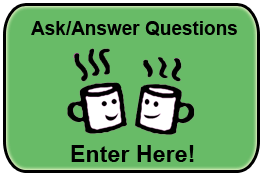 Their products are certified as meeting quality standards and are guaranteed for workmanship. 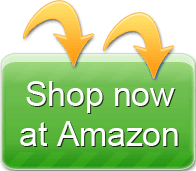 If you live in the United States or Canada, you may qualify for free shipping. Each of Polar Jade’s yoni eggs comes with its own velvet jewelry pouch. 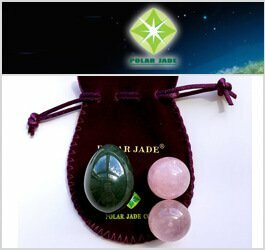 Polar jade offers nephrite jade yoni eggs that you can purchase individually or in a set of three. These one of a kind yoni eggs are not only functional but beautiful to behold. And according to Polar Jade, these jade yoni eggs can last a lifetime. Polar Jade Nephrite jade eggs are made from 100 percent natural Canadian nephrite jade. 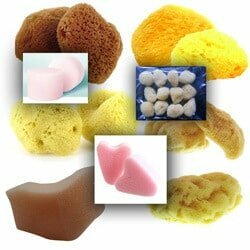 Their jade is certified genuine and hasn’t been chemically treated or dyed. These hand-polished yoni eggs are gorgeous, nonporous and of the highest quality. 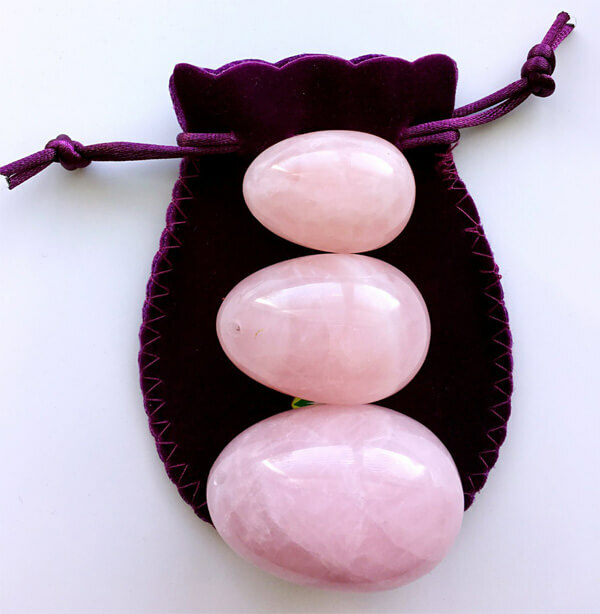 These exquisite yoni eggs are made of natural, genuine rose quartz that has been lovingly carved and polished by hand. No chemical treatments were used on these rose quartz yoni eggs. Buy just one or a set of three. The sideways-drilled eggs come with unwaxed dental floss you can use as a string to assist with removal. 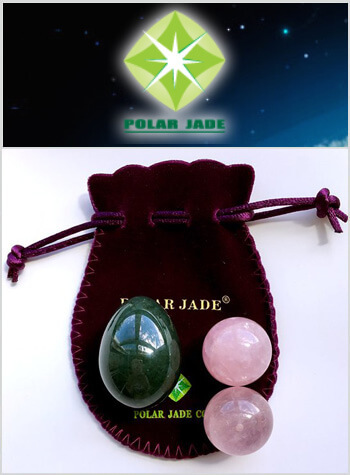 Polar Jade Rose Quartz Yoni eggs come with certificates of authenticity and instructions that show you how to use them. 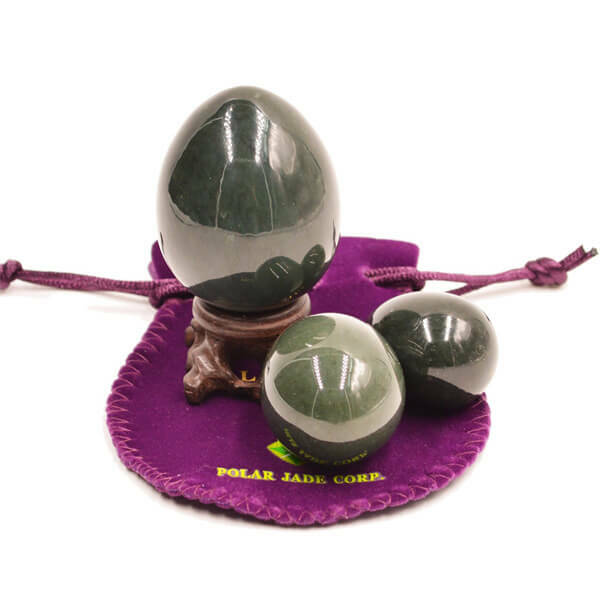 Polar Jade’s obsidian yoni eggs are made from 100 percent genuine and natural obsidian. These glossy yoni eggs are carved and polished by hand to bring out their mysterious beauty without the use of any chemical treatments. 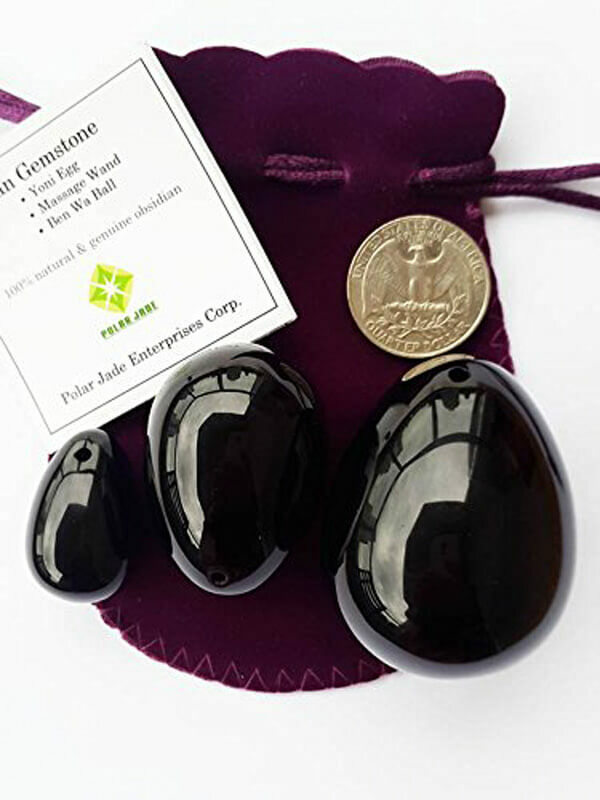 These obsidian gemstone eggs are available sideways drilled on the small side of the egg so that you can use a string for removal if you so choose. 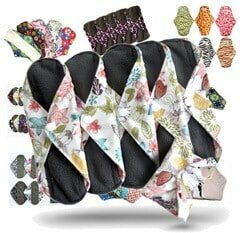 All of the customer reviews are favorable for this company, and that’s no small feat! Reviewers are happy with not only the high quality of Polar Jade’s yoni eggs but also with their fast shipping. If it’s important to you that your yoni eggs are made from genuine, natural materials, Polar Jade is a great choice.